Responsive website designs have become a necessity today. Whether you run a blog, have a brochure type website or a huge ecommerce website, you need a responsive website design today. Without it you are completely missing out on millions and billions of users who choose to browse on and shop from online websites on their mobile websites every day. We are the best website designing company you can find for responsive website designing. We can say that because we know responsive website designs like no one does. 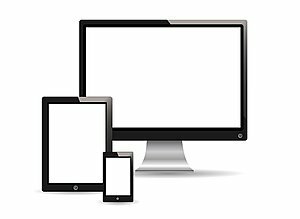 Pick a package and start have your responsive website’s foundation laid down today or call us on 844-777-2220 if you have some questions that need answering.